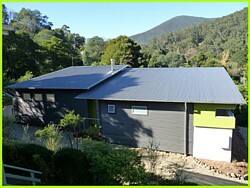 Group accommodation in Warburton and East Warburton. 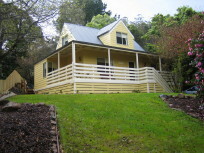 Accommodation for groups of 6-10 individuals ideal for large family groups, friends, cyclists or artists seeking a retreat or relaxtion in Warburton. 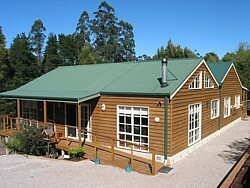 Wattletree Cottage is a five-bedroom retreat nestled in the beautiful Yarra Valley township of Warburton. The house is fully self-contained and offers cathedral ceilings, large open family/kitchen/lounge area with wood heater and many large windows.